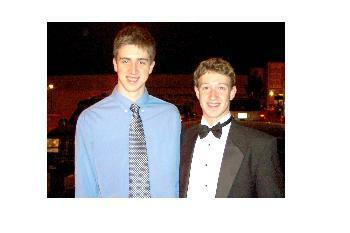 For his high school senior project, Mark E. Zuckerberg ’06 gave a little gift to the world’s MP3 addicts. As students at Phillips Exeter Academy, Zuckerberg and friend Adam D’Angelo created an MP3 player that would keep track of every song the user played on a computer and, as it learned what the user liked, would begin to make playlists. According to his website (www.synapseai.com), “the Brain,” or the central intelligence of Synapse, is accurate to the hundredth of a percent. Seven months after its September 2002 release, the online technology newsgroup slashdot.org ran an article about the program. Almost immediately, Synapse was fending off calls from WinAmp, Windows Media player, Moodlogic and MusicMatch. Team Synapse began communicating with Microsoft, but Zuckerberg says they backed out when they began to suspect that the multi-billion dollar corporation was going to rip them off. To ensure that they weren’t going to be taken advantage of, Zuckerberg and D’Angelo split the $12,000 price of a patent, confident that their company’s future profits would pay off.